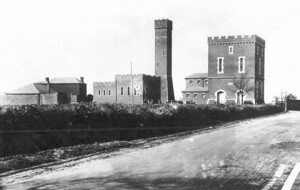 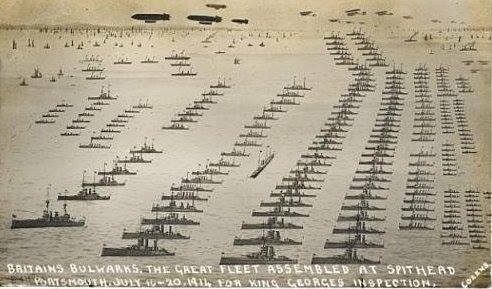 Today in Gosport’s Past:- on 18th July 1914, King George VI was at the Spithead Fleet Review, which lasted three days. 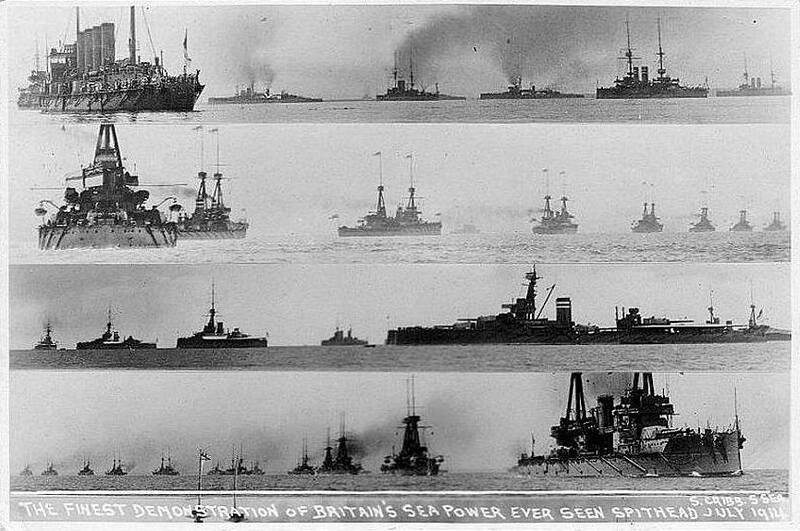 The fleet had been mobilized in readiness for war, which was declared just ten days later, on 28th July – The Great War; the First Sea Lord, Winston Churchill, issued an order at 11am on 4th August to all Royal Navy ships & stations: “Commence hostilities against Germany”. 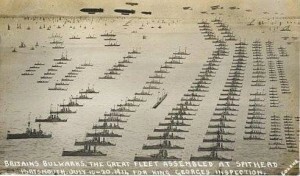 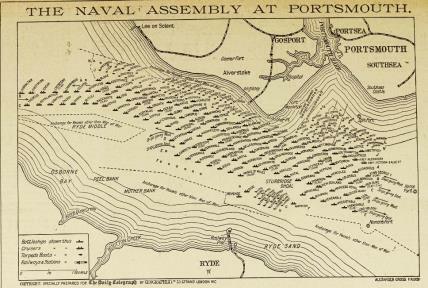 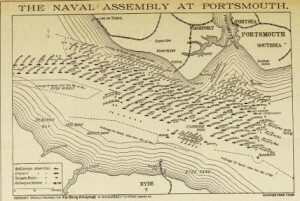 The mobilized force consisted of over 100 vessels, including 56 battleships, plus 17 seaplanes.